If you think that you’ve been there and done that in Japan, think again. Here are some unexpectedly cool things you can do in Okinawa, Japan. 1. Go horse riding by the beach. And you can even ride them in the water too. Kume Island (or Kumejima in Japanese) is a larger outer island in Okinawa, and is often hailed as one of the most beautiful islands there. Besides snorkelling and diving in clear blue waters, you can also ride horses by the beach. In the summertime, you can even go horse riding in shallow waters. Definitely a Snapchat-worthy way to cool off eh? Make a reservation or contact them for details on where to meet. 2. Cool off in a waterfall. And we’re not talking about some dinky man-made waterfall either (*cough* RWS). 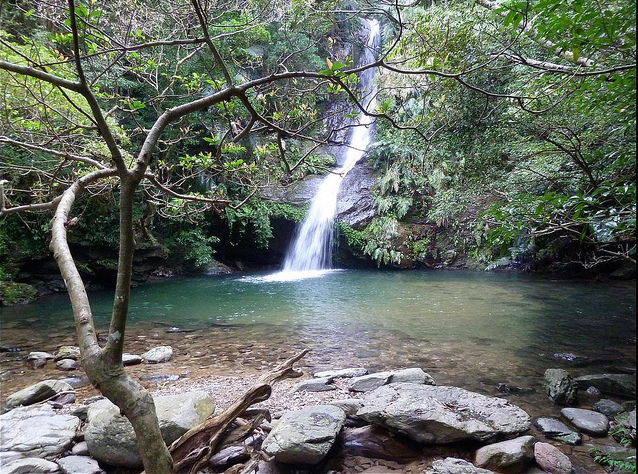 Okinawa is home to several natural waterfalls, including the remote but beautiful Fukugawa Falls. Located in a quiet area of Okinawa’s Nago City, the waterfall is far more untouched than its more popular counterparts, such as the crowded Hiji Waterfalls. Whether you go for a hike or take a dip in the waterfall, Fukugawa Falls is a good bet for a relaxing retreat with nature. 3. Pluck fresh pineapples (then have them with your lunch). 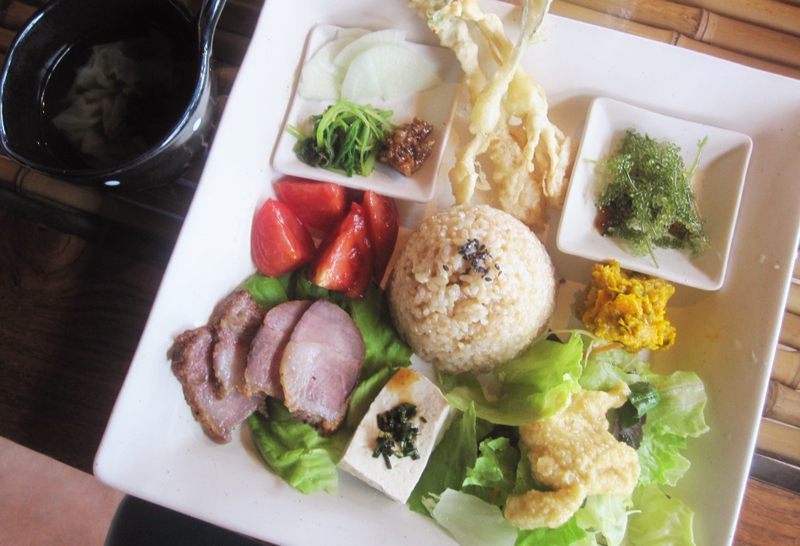 Want to experience some true Okinawan hospitality? Canaan Slow Farm Cafe & Eco-stay is a charming bed and breakfast that prides itself on its personalised hospitality and homegrown produce. You can even pluck pineapples fresh from the farm, then have them with your lunch. If you don’t fancy staying there, you can also just dine at the cafe, which serves a variety of Japanese dishes. Check out the video below to see more of the farm. 4. Get up close and personal with sharks. The safer way, that is. If you’re too chicken to go cage-diving with sharks, the Okinawa Churaumi Aquarium might be a better bet for you. 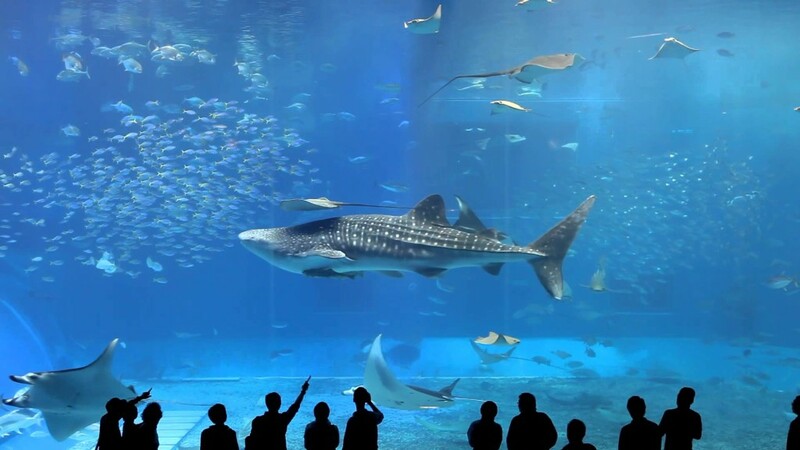 The aquarium, which is one of Japan’s most highly-regarded marine facilities, has a gigantic tank where you can get up close and personal with whale sharks…from the safety of the observation deck, of course. Okinawa Churaumi Aquarium also has a dedicated Shark Research Lab, where you can view and learn more about sharks. When you’re hungry, grab a bite at the aquarium’s Ocean Blue Cafe, where you can eat among the marine life. 5. Hang out like royalty. 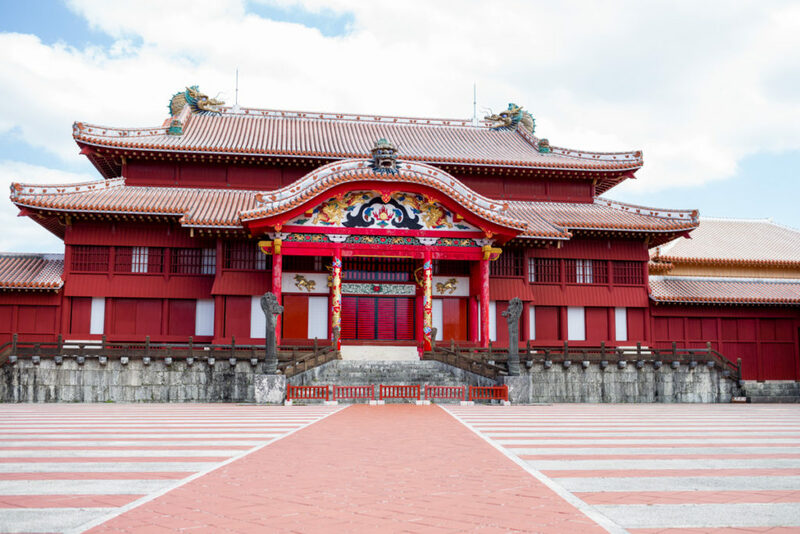 Shuri Castle is a certified UNESCO World Heritage site, and for good reason too. The castle, which used to house Ryukyu royalty, has survived multiple wars and fires since the early 1300s. Today, it is one of Okinawa’s most popular attractions and is a great place to experience what being a royal back in the day was like. This post is brought to you by Okinawa Tourism.